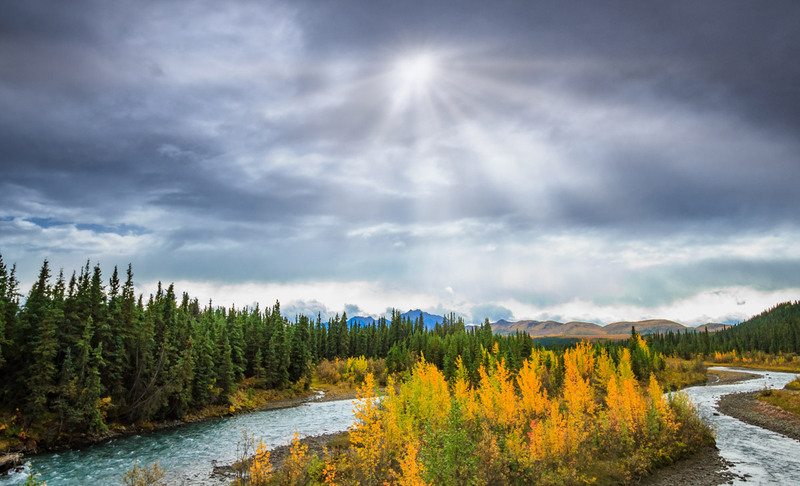 Just past Sanctuary River campground, Denali Park Road meanders through a boreal forest filled with spruce trees. The trees range in height from about 30 to 60 feet, and many of the trees throughout this drive lean to the side, seemingly in random directions. As the brunt of many jokes, this forest is often referred to as a drunken forest, since the trees can’t seem to stand up straight. Spruce trees are common within Denali National park, but they do not appear on the mountains or even on many of the high-elevation passes along Denali Park Road. 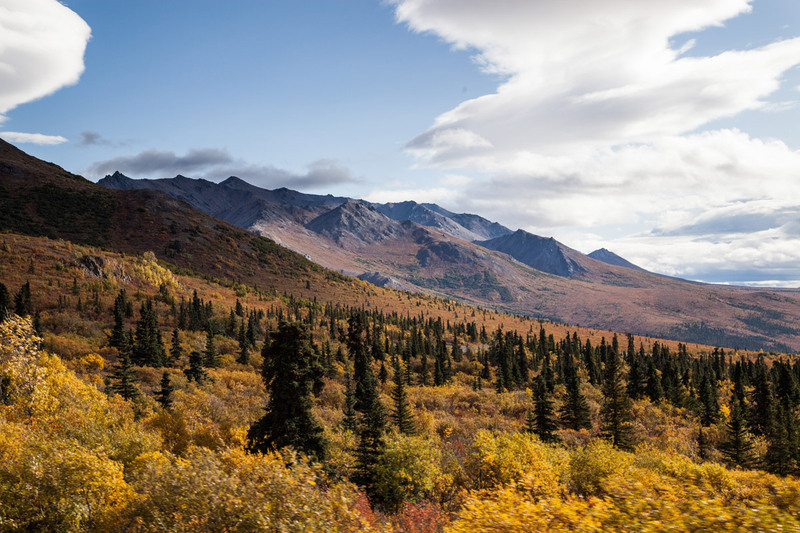 The trees in Denali generally cannot survive in elevations higher than about 3000 feet above sea level. In the artic, any elevation higher than this tends to be too cold for the trees to survive during the winter, so the treeline is noticeably lower than in other parts of the world. In the Sierra for example, the treeline sits at about 10,000 feet above sea level. This particular boreal forest rests at about 2600 feet. Why do some trees tend to grow at odd angles? The answer has to do with the cold temperatures and the soil in Denali National park. These spruce trees grow from the tundra, a frozen layer of subsoil. In addition, spruce trees have relatively shallow root systems. When the tundra experiences warmer temperatures in the summer, it can “melt” or soften. The trees will sink and lean as the soil slides into a new position. With their root system intact, the spruce trees often survive this small adjustment, and continue to grow and live in their natural environment.